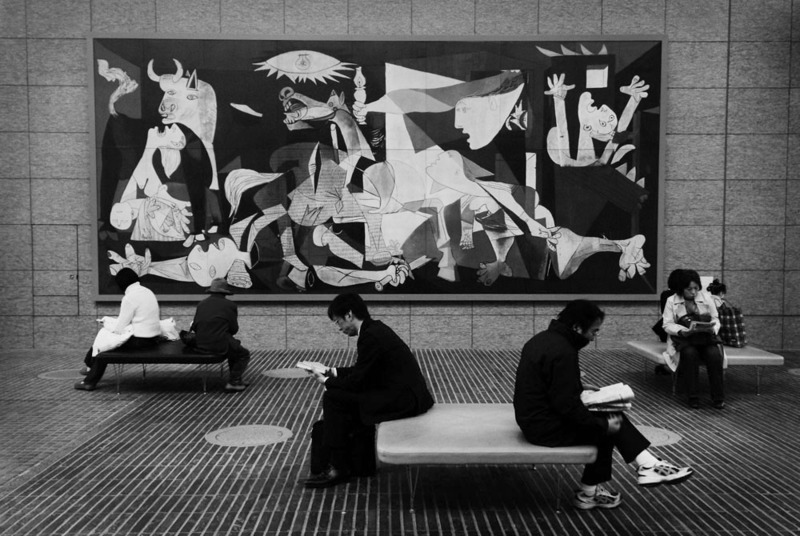 A group of strangers are absorbed in reading in front of the ceramic reproduction of Picasso's 'Guernica' at Tokyo's Marunouchi Oazo center's public square on the afternoon of November. The ceramic reproduction was produced by Otsuka Ohmi Ceramics Co.,Ltd. True to the original, the company's technology succeeds in reproducing the original color and texture which can be preserved for more than 2000 years.